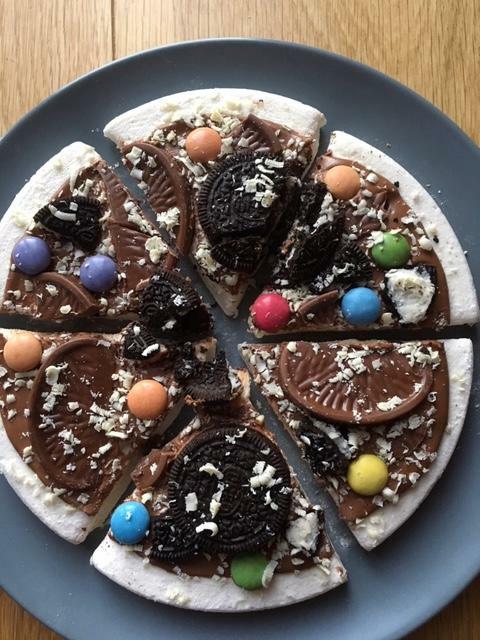 Delicious hand-made vanilla marshmallow pizza base, smothered with a milk chocolate sauce and topped with your very own flavour combo and finished with a white chocolate sprinkle! Get creative! 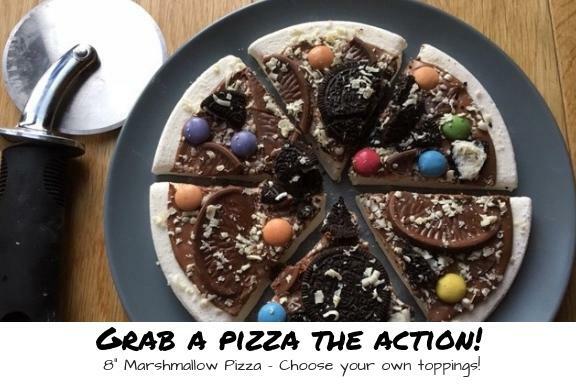 - You get to choose 3 toppings you love from our extensive list of sweet treats to make your own unique marshmallow pizza. Perfect as a indulgent treat or an ideal gift for every occasion. 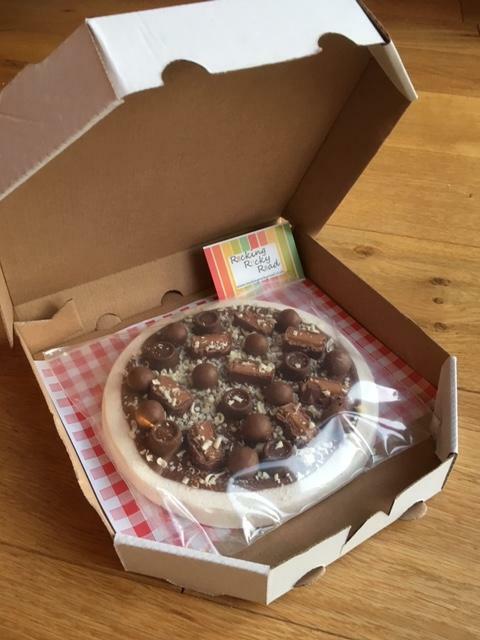 The pizza is supplied in a pizza box (uncut) and each pizza is made to order from the finest ingredients. 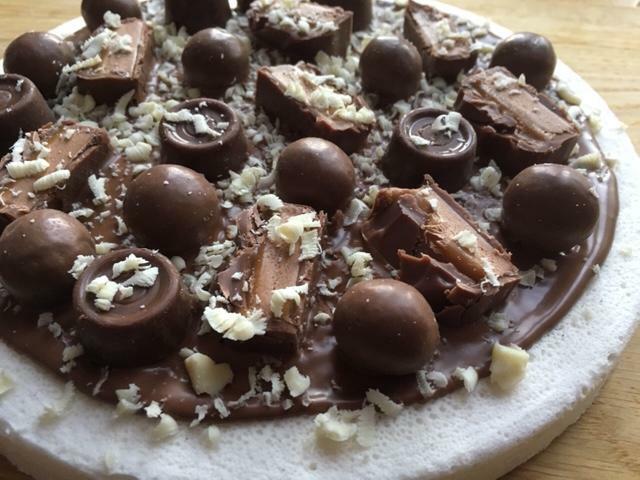 Pizzas are supplied as standard with a milk chocolate sauce, please let us know if you would prefer white or dark chocolate sauce instead. 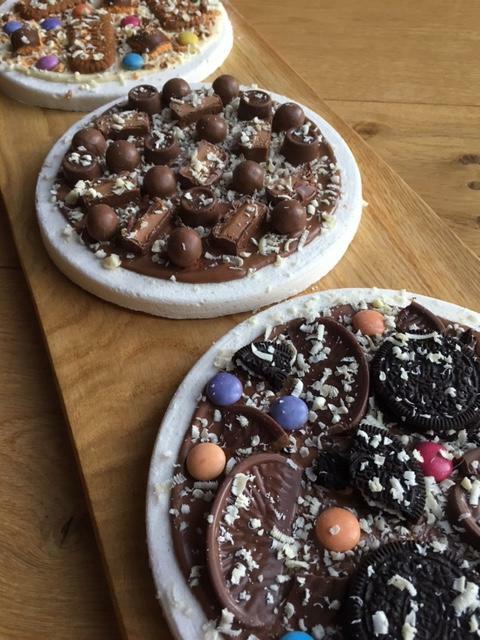 Toppings ingredients will vary and may contain known allergens, please contain us for details if you are unsure.